Have you fallen in love with that three-legged doggie in the shelter window? Three-legged dogs, often lovingly referred to as tripawds, are pretty much the same as other dogs—less one limb. If you’re thinking of adding one to your family or you currently have a dog who has undergone or is about to undergo an amputation, here’s what you need to know to make sure your dog lives its best life. Dogs end up as tripawds for a variety of reasons. Accidents, injuries, or illness may require a leg amputation, or a dog may have a congenital birth defect that resulted in fewer limbs. Regardless of the reasoning, having three legs is hardly a defect itself. Many dogs thrive on three limbs, enjoying the exact same activities as a four-legged dog. As pet parent to a tripawd, your main objective in keeping them healthy is managing their general wellness and making sure they’re getting the right amount of exercise to keep their joints in good shape and prevent further injury. Don’t look at your dog’s lack of limb as a disability. With a bit of conscious care, you and your canine companion may forget that it's any different than a dog with four legs. Veterinarians make recommendations with your pet’s best interests in mind. If your vet thinks your dog would benefit from an amputation, it’s because they’ve weighed the other options and determined that amputation has the greatest chance of helping your dog live their highest-quality life. Don’t be afraid to ask all of the questions that you need to about how they came to make the recommendation and what the surgery will entail for you and your dog, but keep in mind that amputation is a relatively safe procedure and is often more effective and affordable than limb-saving efforts. The decision to have your dog’s leg amputated is a big one, but it may be the best thing you can do for your dog. Keep your mind on the positive aspects, which is that dogs who have a leg amputated because of injury or illness will usually feel much more comfortable than they did right before the surgery, and amputation can allow your dog to live a life without pain and/or reliance on painkillers. The period right after amputation is generally the most restrictive for dogs and nerve-wracking for their humans. With proper care though, life will soon get back to normal. Follow your vet’s advice closely, and be sure to give any pain medications and antibiotics as prescribed. Even if your dog starts to seem better, ask your vet before stopping any painkillers and continue to run through the full course of antibiotics—stopping early can be risky. In addition to following prescribed care directions, help your dog stay comfortable by giving them plenty of soft surfaces to relax on. Keep them in a carpeted area of your home since walking on wood can be difficult for them in the beginning. If you don’t have a carpeted space, put down some cozy rugs. 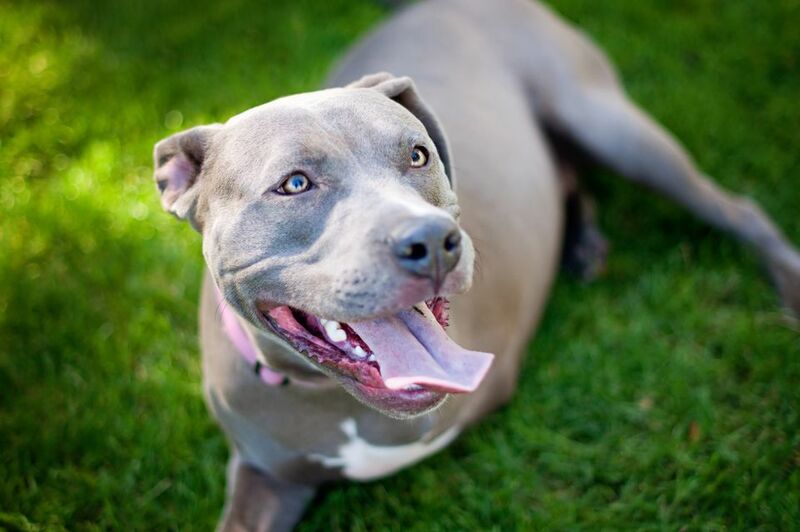 Your dog may require assistance moving around in the early recovery period. Get directions from your vet about how to appropriately carry your healing tripawd so that you don’t accidentally cause any additional pain or stress. Your vet will also be able to give you directions on when you can start introducing activity. There are very few differences between adopting a three-legged dog and adopting a four-legged one. Chances are high that whatever ailment or injury caused them to lose a leg is taken care of by the time they’ve made it onto the adoption floor. The shelter staff will be able to fill you in on whether they have any ongoing care needs. When you bring your tripawd home, give them time to explore at their own pace. Like many shelter dogs, there’s a chance they’ve never climbed stairs before or jumped onto a couch. Use positive reinforcement training to encourage them to tackle new activities—they’ll be pros in no time. Be patient with your three-legged rescue. There’s a normal adjustment period with any new animal coming into their forever home, and it may take them a little bit longer to become fully themselves. Regular exercise is necessary for all dogs, but it’s extra crucial for three-legged dogs, who can experience pain or joint problems if they’re carrying around too much weight. Resist the urge to be overprotective, and instead let your dog run and romp as they’d like. They’ll let you know if they’re experiencing any discomfort. On walks, let your tripawd set the pace and don’t pull on the leash to speed them up. Aim for multiple short walks throughout the day instead of one long walk, which could be too physically taxing. Along with walks and trips to the dog park, swimming is an excellent source of exercise for your three-legged dog and will help their limbs and joints stay healthy without putting any added stress on them. With all activities, keep an eye out for signs of fatigue. If your dog is slowing down, panting, or stopping for frequent breaks, that’s a sign it’s time to head home. If you’re ever concerned about your three-legged dog and exercise—for example, if they’re getting tired quickly or starting to put on weight—work with a veterinary rehabilitation therapist to ensure your dog is exercising correctly and enough. Tripawds have very few limitations and a whole lot of love to give. Provide them with the care they need and they’ll go on to live long and happy lives, no extra fuss required.